For 2016 Mavic has introduced a helmet to their new all-mountain line up, the Crossmax Pro. Several years ago they jumped into the trail/enduro segment with the Notch helmet. The Notch was light, well vented and had a unique look. The Crossmax Pro builds on the success of the Notch with some added features for riders looking for a little more protection. The first thing you’ll notice with the Crossmax Pro vs the Notch is the look. They’ve extended the back of the helmet down to cover more of your noggin. This new design has an inset area for your goggle strap, this is helpful in keeping your goggles in place during a spirited ride down your favorite trail. Additional vents in the shell will help keep you cool on those climbs back to the top. Along with those features, the visor is adjustable to suit your needs. The inside is completely new compared to the Notch. They’ve introduced something Mavic is calling “Live Fit”. It’s a new XRD® foam layer combined with an anti-bacterial and anti-odor lining with X-static® padding. Right out of the box this helmet was really comfortable and just like the Notch, you can fine tune the fit at the turn of a dial. On the trail I really enjoyed the new design, comfort and venting. 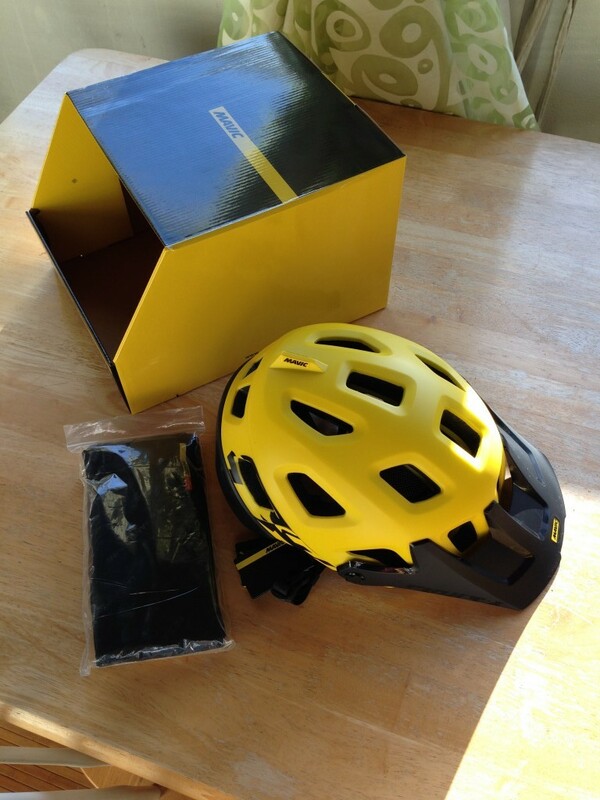 In the box, along with the helmet, you get a nice helmet bag and extra mesh liner. Mavic has stepped it up a notch with this one. The extra liner is a nice touch and will allow me to swap them out throughout the season between washes. 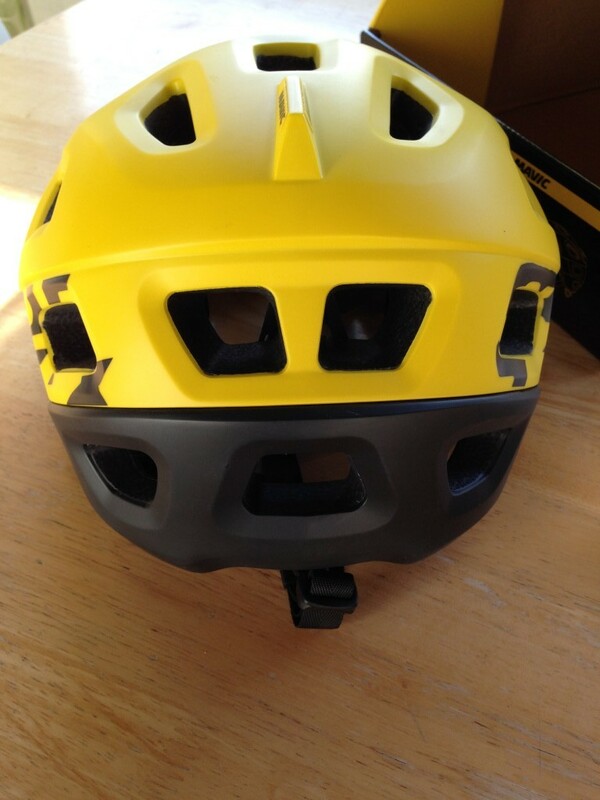 So if you are an enduro rider/racer or only do the climbs to bomb down hill on your trail bike, this helmet is for you. 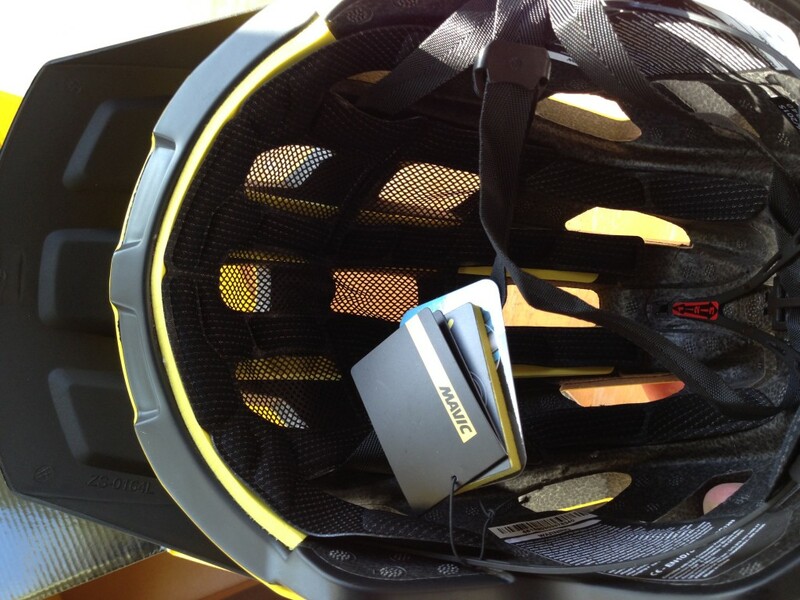 More on the Mavic Crossmax Pro Helmet here!